His eyes "suffered burns as a result of the liquid", Fadzil Ahmat told Bernama, and he died on the way to hospital in nearby Putrajaya. "So far there are no suspects, but we have started investigations and are looking at a few possibilities to get leads," Fadzil Ahmat told Reuters news agency separately. News of Mr Kim's death was not reported until Tuesday. An autopsy was conducted on his body but the results have not yet been released. Why the delay in identifying him? South Korean media named the victim early on Tuesday but the Malaysian authorities initially only reported the sudden death of an unnamed North Korean national who had fallen ill at the airport. Police then released a statement which quoted the victim's travel document identifying him as "Kim Chol", born on 10 June 1970. 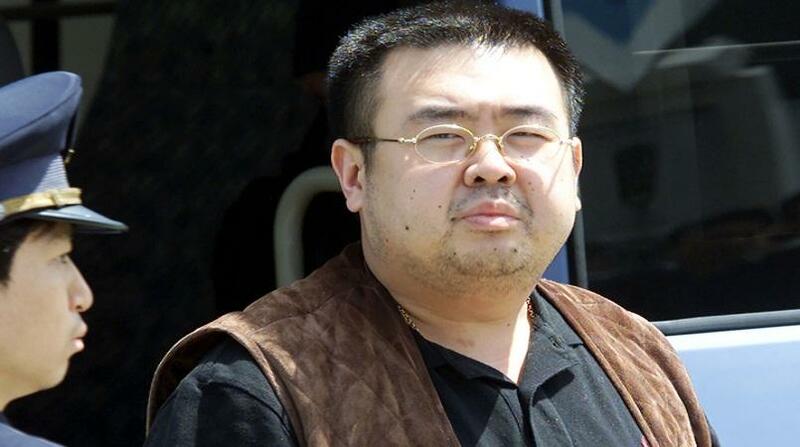 Kim Jong-nam was born on 10 May 1971. Police finally confirmed that the victim was indeed the half-brother of North Korea's leader. Why was he flying to China? Bypassed in favour of his youngest half-brother for succession when their father died in 2011, Kim Jong-nam kept a low profile, spending most of his time overseas in Macau, mainland China and Singapore. He is said to have enjoyed the slot machines in Macau, a Chinese territory famous for gambling. How did he fall out of favour? The Tokyo Disneyland incident is thought to have spoilt his chances of succeeding Kim Jong-il, who died in 2011. He later spoke out against his family's dynastic control of North Korea and in a 2012 book, was quoted as saying he believed his younger half-brother lacked leadership qualities. Mr Kim was reportedly targeted for assassination in the past. A North Korean spy jailed by South Korea in 2012 was reported to have admitted trying to organise a hit-and-run accident targeting him. The secretive state has a long history of sending agents overseas to carry out assassinations, attacks and kidnappings.